May contain a couple of spoilers. Gabrielle has been in love with Gary Jensen for a long time. But Gabrielle has had enough, especially seeing the changes that her sweet Gary has gone through after his conversion. Gabrielle is a scientist, she doesn’t believe that she can live in the Carpathian world, its way too violent for her. But on the eve of their wedding night, Gary and Gabrielle realize the truth and soon after Gary loses all colors and emotions. Which shouldn’t have happened this soon. Then suddenly Gabrielle finds herself lifemated to a domineering and violent carpathian…an ancient. Alexsei has lived for over a thousand years, in darkness and violence barely keeping his soul intact from turning. 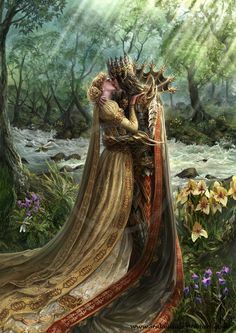 Then he sees colors and senses the anguish of his lifemates call, and goes to her and feels betrayed when he senses her love for another carpathian male. Meanwhile, Trixie Jones has come to save her daughter but unknowingly brought danger with her and Trixie meets Fane another of the ancients. Their relationship starts off rocky with Trixie trying to kill her lifemate thinking he is a vampire and she must use her vampire kit she found online. But soon both couples will be bound together to bring down a greater evil that is stalking them. Now this is probably one of the most dominating males that Feehan has ever created. YUMMY!! He definitely put a red on my radar that is for sure. He is more controlling and domineering than even Gregori. He has a temper, gets angry easily, but has gone through hell. He has only known a life of danger, violence and darkness for over a thousand years. He has taken care of the ancients at the monastery barely keeping them from turning. He is the leader, their commander ruthless in every regard. He had search the earth for centuries for a lifemate but never found her. Until he hears her pain and anguish and sense love for another male which sends him off the edge…LITERALLY!! Boy when he gets angry…he gets angry. He feels betrayed by Gabrielle (and for good reason) and doesn’t take it well. He does get a bit rough but not violent with her. You see how all the emotions he is suddenly feeling are overwhelming and he can’t control them. Of course you see how he regrets his actions against Gabrielle. But there are good aspects to Alexsei. Once he gets over his anger, you see his caring nature for Gabrielle. He seeks a honest and open relationship with her. He is dominating in bed…VERY. But he can be so tender and sweet in those needed moments with his lifemate needs that. Her body had come alive with just his mouth on hers. Alive. Singing. Screaming for more. Every single cell was aware of him. An electrical current seemed to have taken up residence in her bloodstream. She’d never felt anything like it in her life. She hadn’t known a woman could feel like that. Now Fane is complete opposite from Alexsei in many ways. Fane is an ancient Carpathian, dealing with his own darkness. But his lifemate amuses him. He has a solid sense of humor and seems to delight in teasing Trixie all the time. I love his mannerisms, because it helps take a breather from Alexsei who is overpowerfully strong. But Fane, is a talented hunter but he reacts better to his lifemate even though she tries to kill him with a online vampire kit. What was quite admirable about Fane was seeing how kind he could be with Trixie. He is gentle, sincere and is very mischievous at times, it was very contagious. I definitely loved him as one of the main characters in the book. Gabrielle is one of those characters we don’t know that much about. We see glimpses of her throughout the series, but not enough to know whether or not to like her. Not until this book. Gabrielle is not like her family. She is reserved, quiet, intelligent and loves her quiet world. She never wanted to be Carpathian. She always is fearful of her surroundings and it doesn’t help that no one of the Carpathian community has made an effort to teach her what she needs to know. She has her own talents but only views them as “parlor tricks”. She is very smart—scientist kind of smart. She loves working in lab with no one around to bother her. Now I will admit, in the beginning, I kinda struggled with her character. She seems a bit selfish especially when it comes with her dealings with Gary and Alexsei. You see that she knows better but she still acts like a child at first. But from the moment that Alexsei takes her away, she grows up very QUICKLY. She starts to come into herself. She is still afraid of her lifemate, but we see her growth of confidence and she takes responsibility for her foolishness. Which I was glad to see. Throughout the story, she grew on me and I really liked her in the end. She understands what Alexsei needs in her and gives him what she can but stands on her own ground when its important. Now Trixie…was freaking hilarious and every time we entered a scene with her and Fane I just cracked up. Honestly, her character was so refreshing. She has attitude, she is older, a grandmother, only known betrayal by men. She doesn’t trust them at all. Despite her age, she keeps fit and in healthy condition so she probably doesn’t look her age–which she is VERY proud of, kinda cocky about it which I found so entertaining. I love her attitude of doing what she wants and doesn’t apologize for it. Her humor is fantastic. She is kind, caring and empathetic. But she can be a bit obsessed with her age. Okay now….I want to say that this story bowled me over in many different ways. I will say this DONT believe the blurb. It gives off the impression that its about Gary and Gabrielle—a LIE folks. Because before reading this I really thought it was Gary’s book. So part of me was really disappointed. I mean, there are important factors of their relationship that we see get revealed, but man GARY…this story just broke my heart for him. 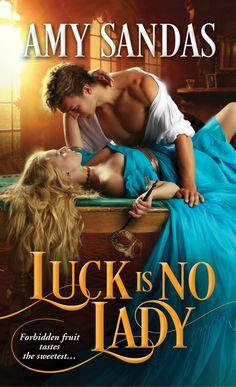 He goes through hell in this book and loses the woman he loves which almost breaks him. We also see how the line of ancients that he is connected to, converge on him all at once. The once sweet scientists who won our hearts in Dark Magic has changed into a warrior. Even Gregori and the Prince are shocked by his changes. The story starts off with some tough truths….first off Gabrielle has to learn the hard way about lifemates. She literally has no clue, I mean you would think her family would inform her about it all, but they just leave her clueless for the most part. So that irked me a bit, is how the other Carpathians treat her in some ways. This doesn’t help her situation with Alexsei, in fact she is practically blind in dealing with him. She is this quiet reserved woman who just loves her lab and the quiet. We see her act out against Alexsei in front of others, which is a firm betrayal to Alexsei. Alexsei on the other hand is pretty damaged here at the beginning. I know some would say he would be too violent, and yeah he gets a bit extreme but not too much you can’t handle it. I was okay with it, but then Gregori in his book was pretty violent too. What I did find interesting was seeing how they find a balance in their relationship. That vow for my lifemate flows in letters across my back. For you. To you. Whether I found you or not, I knew you. I saw you, there in my mind. In my heart, I knew you would be passionate and sweet. That you would give me whatever I asked for. And that is you. You always give me what I ask for. When I wasked if you would wear you hair down for me when we were alone, you said yes. You gave that to me. Every time I have asked you for something, you have said yes. You give it to me. I had no idea you would be this beautiful, but I knew you. I talked to you. Each rising, before I went hunting, I told you I would be there for you. I would give you everything you wanted or needed. That I would keep you safe. I would protect you. I would love and cherish you.l I mean those things. You saved me. You did that, No one else. It has its unbalanced moments, for sure—but we do see how good they are for each other. Gabrielle finds passion and desire….but she also begins to realize how much she cares for Alexsei in ways she never did for Gary. Also another aspect I liked about Alexsei, was seeing how eventually he comes to terms with Gary, he sees the importance of closure and that Gabrielle can help Gary find his true lifemate. I will admit their last moment, just brought tears to my eyes. This is one of my favorites….I love green on covers. I am big on nature, and I love how it really gives that theme. I like the monastery in the background. The whole effect gives off an eerie vibe that I just love and is perfect to portray this story. I chose this song because one its such a romantic song and I love it. Not ashamed. But the lyrics are just a perfect match for this book! !